Now for something you didn't know. Info I've found on authors I've read (or even worked with! WHOOP). Their personal websites, if available, are linked below each one's description. A native of New England, Susan Conley lives in Maine with her husband and two sons, teaching writing classes in the area and serving on the faculty of the Stonecoast MFA in Creative Writing. She is the author of two books, Paris Was the Place (Random House, 2013), a novel of love, displacement and the essence of homeland, and The Foremost Good Fortune (Knopf, 2011), her memoir about living in China with her family and learning, while abroad, that she had breast cancer. Co-author of Stop Here: This is the Place, a book in which she's written with Winky Lewis as an experiment between two mothers; Winky's photographs of their two sets of children come alive with Susan's accompanying prose. Susan Conley is the co-founder of The Telling Room, a creative writing lab in Portland, Maine, that is focused on the belief that all children are storytellers. I've got a lot of questions for Susan, but I'll start with these: "What's one place in the world that you'd never go back to? And one place you're hopeful to visit?" (b. 1939, d. 2015) As noted in his memoir, This House of Sky: Landscapes of a Western Mind, Ivan Doig "grew up in the rugged, elemental Montana wilderness," and each of his books maintains the aura and atmosphere of his western home. Of the authors writing of the American West, Doig seems in company with Wallace Stegner and the much-younger Benjamin Percy. Doig offers, in his prose, a look at humanity in its roughness. After his memoir, his House of Sky (1978), Doig published a "journal of a journal," he calls it, in Winter Brothers (1980), and his first novel, The Sea Runners, in 1982. Seven books have followed, including a second memoir, Heart Earth (1993), The Whistling Season (2006), and his last novel, published posthumously after his death in April 2015, Last Bus To Wisdom (2015). Doig was awarded a Ph. D. in History from the University of Washington, but soon after completing the degree, Doig decided he would write, not teach. He resided in Seattle until his death. Assuming Ivan drank whiskey, I'd pour him a dram and sit down with him (and his wife), and ask: "If you could have had just one novel to last forever, be read by everyone, which one would it be?" (b. 1960, d. -- ) He lives in Minnesota but he's from the UK, he writes a lot of fiction but is just as well known (I wager), for his nonfiction--that is, his speeches and addresses and the like. Check out "Make Good Art," posted here on YouTube, a commencement speech he gave to the University of the Arts in 2012. Perhaps most notable among his fiction works is The Graveyard Book (2008), which won the Newbery Medal, the Hugo Best Novel Prize, and the Carnegie Medal. It's currently being adapted to film. Equally as skilled at writing for young (and older) adults, Gaiman's YA novel Coraline (2002) won the British Science Fiction Award, the Hugo, the Nebula, the Bram Stoker, and the American Elizabeth Burr/Worzalla award. Gaiman's writing career began in journalism, (and a bit sketchily so--he's said that he often found work by, quite literally, lying). He went on to write and publish the Sandman comic series, which ran 75 issues and led to multiple awards. You will find on his author page (linked below), that he now has a cult following. Actually, that's nothing new. Gaiman's been around for a good long while, and it doesn't look like he's going anywhere anytime soon. If you need something quick to read, check out his book Trigger Warning (2015), which includes short works of startling fiction. His newest book, Norse Mythology (2017), is now out in hardcover. One question, for now: What was your greatest childhood fear? (and has it gone away)? (b. 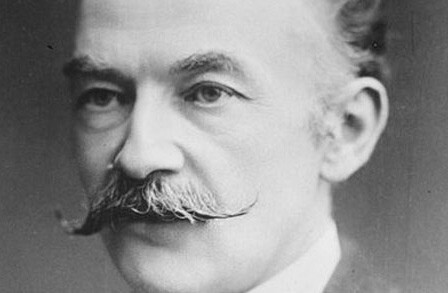 1840, d. 1928) Born to Jemima and Thomas Hardy, author and poet Thomas Hardy (junior) was raised in southern England and attended a non-comformist school in Dorchester. After spending time in London and working as a draughtsman in an office next to the Thames. The culture, arts exposure and social life aided Hardy's propensity for artistic creation; he wrote much poetry that never went on to be published. Due to poor health (the Thames was essentially a poop-pit), he left the city and moved to the country. His first novel, The Poor Man and the Lady, noted by the Thomas Hardy Society as "too radical to publish," was the beginning of his career in longer-length fiction. His third book, Far From the Madding Crowd, achieved great success. He continued to write fiction until the death of his wife Emma in 1912, at which point he again began poetry. By the end of his death he had published over fifty short-stories, over ten novels, and a large collection of poetry. His better-known novels are: The Return of the Native (1878), The Mayor of Casterbridge (1886), and Tess of the d'Urbervilles (1891). (b. 1929, d. -- ) Her most recently published book, Steering the Craft: A 21st-Century Guide to Sailing the Sea of Story (2015), speaks to her literary accomplishments, which include twenty-one novels, eleven short story collections, four essay collections, twelve books for children and six poetry collections. A master of her craft, Le Guin is widely known as an author of Science Fiction/Fantasy, and some of her more notable titles include: A Wizard of Earthsea (1968), The Left Hand of Darkness (1969), The Lathe of Heaven (1971), and Always Coming Home (1985). In 2014, Le Guin was awarded the National Book Foundation Medal for Distinguished Contribution to American Letters. "Hard times are coming," she says in her acceptance speech, "when we’ll be wanting the voices of writers who can see alternatives to how we live now, can see through our fear-stricken society and its obsessive technologies to other ways of being, and even imagine real grounds for hope. We’ll need writers who can remember freedom — poets, visionaries — realists of a larger reality." (b. 1949, d. -- ) Born in Kyoto, Japan, and now residing in Tokyo, Haruki Murakami has written numerous volumes of fiction and nonfiction, three short story collections, and an illustrated novella. His memoir, What I Talk About When I Talk About Running (2008), gives insight into his late-onset running regimen, and how it has shaped his writing life. His novels, Hear the Wind Sing, Pinball, and The Wild Sheep Chase being his first (and also a trilogy), precluded Norwegian Wood; Dance, Dance, Dance; South of the Border, West of the Sun; and others. His prose has been translated into over fifty languages. 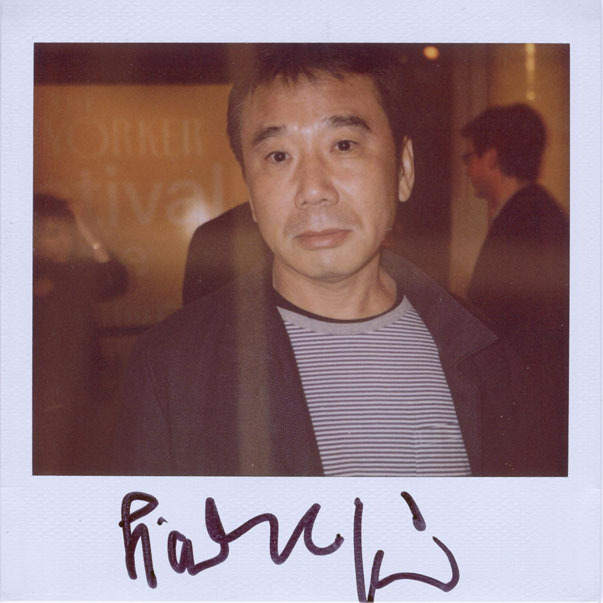 Murakami claims his literary influences as Raymond Chandler, Kurt Vonnegut and Richard Brautigan. My question for Murakami: "How'd you meet your wife? And what does she do?" (b. 1925, d. 1964) A devout Catholic writing from and about the American south, Flannery O'Connor is regarded as one of the chief regional and spiritual writers of the modern era. Born in Savannah, Georgia, O'Connor never married but composed a vast amount of writing for such a short life. The Habit of Being (1988) is a collection of her letters, Mystery and Manners (1969), her collected essays and prose. O'Connor published two novels, Wise Blood (1952) and The Violent Bear it Away (1960). Her short story collections are A Good Man is Hard to Find (1955), and Everything that Rises Must Converge (1964). Published in 1972 by Farrar, Straus & Giroux, The Complete Stories won the National Book Award that year, and solidified O'Connor's place within the classics of American literature. In the last years of her life, she raised peacocks; but she never presumed to understand them. If Flannery and I sat down for coffee, I'd ask her this: "What's one book that you'd never admit to liking?" (b. 1909, d. 1993) More than an environmentalist, more than a writer, Wallace Stegner stands in United States history as an individual who made an astounding impact upon Americans’ perceptions of the West and the cultural clashes within various levels of society. Stegner, author of Crossing to Safety (1987), Angle of Repose (1972), All the Little Live Things (1967), and The Spectator Bird (1977), among many others, composed fiction, nonfiction, short stories and numerous essays. His work is widely known as relating to Western expansion and environmental responsibility, but it speaks as well to the importance of human fellowship and companionship between friends, spouses, families and communities. A devoted instructor of his craft, Stegner founded the Creative Writing Program at Stanford University and taught on faculty until 1971. Wendell Berry, Ernest Gaines, John Daniel, Raymond Carver and Robert Haas studied under his tutelage. In 1934 he married Mary Stuart Page, and together they had a son, Page Stegner, who now teaches at the University of California, Santa Cruz. What would I ask this giant of a man? How about: where would you go when you most want to hide? Where would you go when you don't want to be alone?